Friday VOL Navy Cruises . 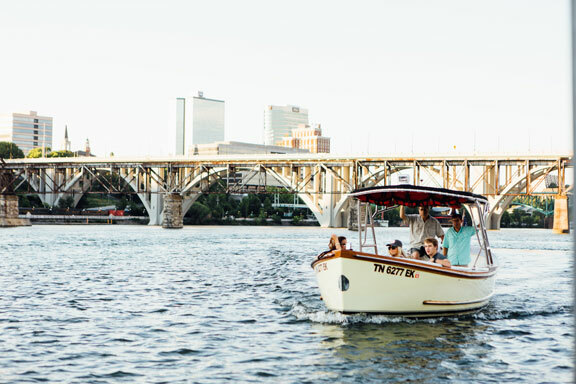 . .
Tennessee Boat Line is pleased to be offering very special 30-minUTe Friday VOL Navy Cruises aboard the Queen Priscilla all day long (morning, afternoon, or evening) each Friday before every home UT football game this year. 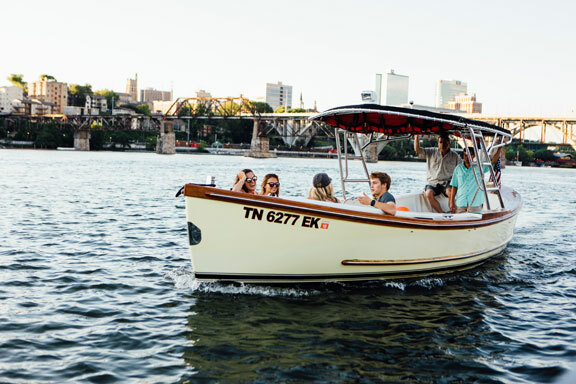 Enjoy the specially selected cuts of Tennessee-themed music aboard this fully restored 1968 26′ U.S. Navy Captain’s Whaleboat while you cruise in the downtown area and review the assembled armada of the famed VOL Navy. Boarding passes for these Friday VOL Navy Cruises are issued on a first reserved – first boarded basis and may be secured for just $15/passenger. A minimum of 2 passengers is required up to a maximum of 6. Depending on the number of seats reserved, the passenger manifest may include a mixture of enthusiastic fans supporting both teams. Friday VOL Navy Cruises begin at 9 am. To schedule a cruise, please call 865-312-9000.